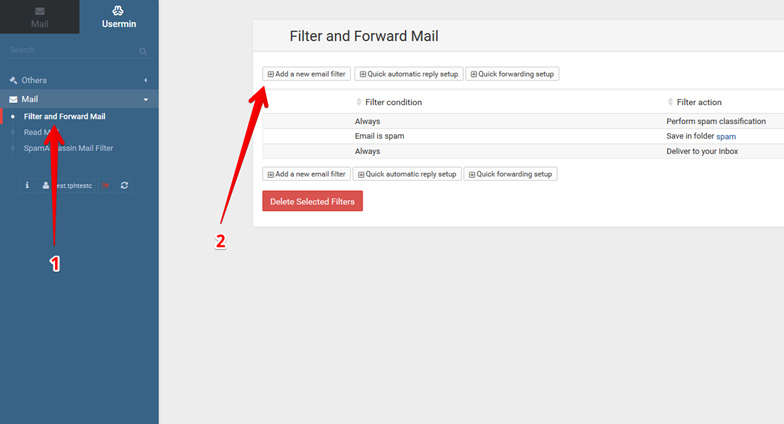 Setting up email filters can easily be done through the settings in your Webmail. Before you begin however, you need to set up a WPX email account. Take a look at our tutorial to set up your WPX email account! After you have created your email account, you will receive instructions for accessing your Webmail; you can find a step-by-step tutorial here! Now that you have access to Webmail, you can finally create an email filter! You can do this from the Usermin tab at the top of the left-hand menu. After you select Usermin, you will need to click Mail and then select Filter and Forward Mail (1). The Filter and Forward Mail menu will then appear. From here, choose Add new email filter (2). Now you can set all the email filters you want! Find more information about how to create an email filter (and also about our WordPress hosting in Netherlands here). See the results from Matt Woodward' s tests and learn why WPX is the clear winner (check out the article here). Check out our WP hosting in Brazil here.